Quelf is the game that gives random a new name! Use your creativity and imagination to answer crazy questions and perform ridiculous stunts. If a player obeys their card they get to move ahead and whoever crosses the finish line wins! 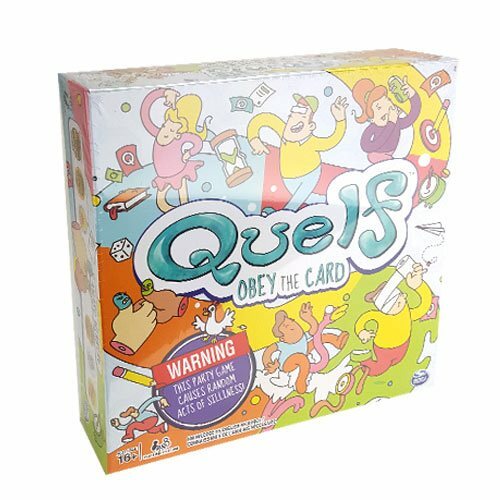 Players will enjoy a non-stop hilarious adventure with Quelf Board Game. Requires 3-6 players. Ages 16 and up.